James Choi balances perfectly crafted coffee and pastries with family and some quality time on the course. 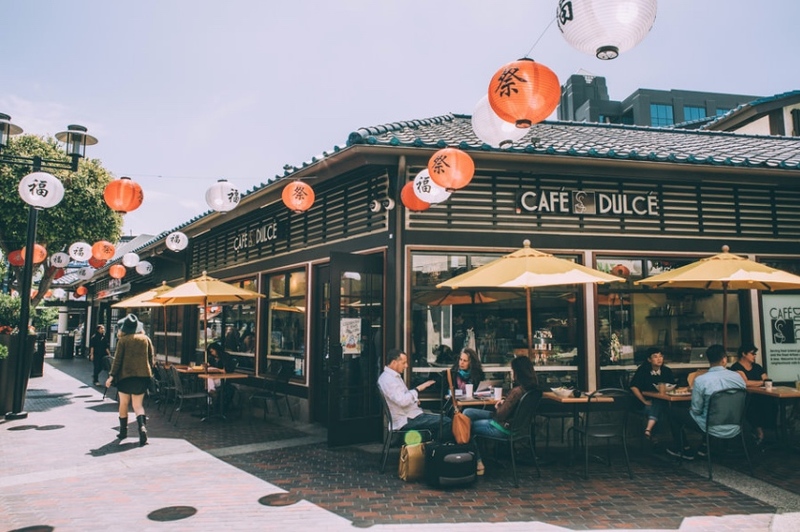 Café Dulce has evolved into a gathering place for the Little Tokyo and Downtown communities. Located near the southern entrance to Japanese Village Plaza on Second Street, the coffee shop’s small outdoor tables lining the perimeter of its corner storefront are often populated with animated clusters of friends and colleagues happily chatting while munching on bacon donuts and sipping on specialty coffees and teas. The concept and business model seem to be working. Choi has opened Dulce outlets in the nearby Arts District, USC Village and most recently Vernon. What may not be well known is that much of the success of Café Dulce can be traced back to Choi’s life as a junior golfer in Torrance. And really everything stems from James’ late mother Laura. James grew up in Las Vegas, raised by his Korean mother, who had divorced his father after they came to America. Laura had worked her way up from dealing blackjack into a high-stress position with Steve Wynn’s Mirage Hotel in 1990s. Because of her Korean background, she directly interfaced with the deep-pocketed Korean gamblers who enjoyed betting thousands of dollars on baccarat. That led to a soap opera-like scandal between the Korean government and the Mirage in which James’ mother ended up as the scapegoat amidst opposing accusations and lawsuits. But when things were stable and Laura’s income was strong, young James was pushed by his mother to find some pursuit in which he could excel. Neither the piano nor the violin connected (“My grandmother couldn’t get me to practice,” James recalled) and tennis came and went (“My mother was worried that I sweat too much.”). Finally, an advisor to Laura suggested that golf would be more suitable to an Asian American boy. James took lessons and practiced at a local country club when Laura spotted something she had never seen: a top-flight Korean golfer. Ted Oh, who was playing for the University of Nevada, Las Vegas, was once ranked the No. 2 junior golfer behind Tiger Woods. Laura asked if he would coach her son. Ted declined, but told Laura that his father Yeong, a one-time Korean pro baseball player, was the one who taught him and he could teach James. Yeong lived in Torrance, where he was teaching Ted’s sister and another junior golfer from Korea. He agreed to take on James, who at the age of 13 moved to Southern California to pursue golf. This was the “big shift” in James’ life, not just in moving, but also in understanding the work ethic required to succeed at something as challenging as golf. The first week under Yeong Oh’s tutelage, James would hit a bucket of balls at the driving range at Mulligan’s in Torrance. And, he was told to hit another. And then hit another. Suddenly, Choi was banging out 1,000 balls a day or more. He was practicing until his hands were bleeding. And then he was expected to practice more. Besides the culture shock, James knew he could not expect any sympathy from his mother. From the eighth grade through high school, James would rise in the morning, work on his conditioning, and then attend school. Afterwards, he would go to the golf range and hit balls until it closed. Then, he would do his homework and go to bed. On weekends, he would play a round, practice and then play another round at places like Los Verdes, Victoria and Palos Verdes. In the summertime, he would participate in American Junior Golf Association tournaments, which meant traveling. “All of this was very expensive,” James noted. Because of that, he was motivated to go all in on golf, since his mother had to pay for everything and he didn’t want to squander the opportunity. Even if that meant he sacrificed any school social life. “I practiced every free moment,” he revealed. If all of that sounds like endless drudgery, it wasn’t. James did not have a social group from school, but he did connect with the other junior golfers. Many of them were also young Koreans who were subject to the same routine. He also became part of the larger junior golf community. More importantly, Choi began to emotionally embrace his long hours at the range. Having become a regular, James enjoyed greater access at the golf facilities. When all of other golfers had left, he was allowed to continue practicing. “Some of my fondest memories are hitting balls when no one else was around,” said James. He recalled practicing when it was raining and feeling that there was something “magical” about that moment. Choi rose up the junior rankings, but not into elite status. As he was finishing high school, only the University of Arizona recruited him. More importantly, his mother’s situation began to take priority over golf. Part of her job for the Mirage was to travel to Korea to collect gambling debts. But, gambling is both illegal and socially taboo in Korea, so it was a task done unobtrusively. Worse, the Korean government outlawed large sums of unregistered money leaving the country. Laura was held for almost three months after officials discovered large sums of traveler’s checks and a list of Mirage clients in her room. The Mirage denied any knowledge of Laura’s work and fired her, which resulted in the rival lawsuits. Stuck in limbo in midst of litigation, Laura moved to Los Angeles. James decided he did not want to attend college out of state for golf and leave his mother. 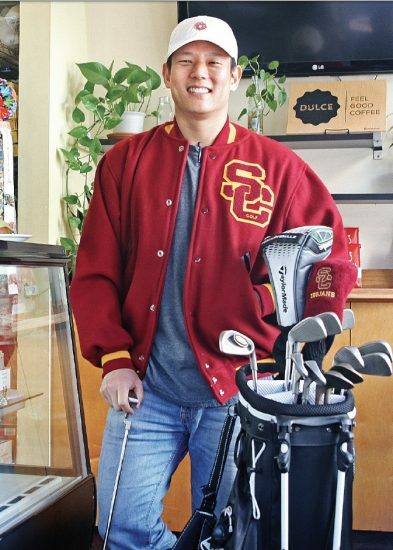 With the aid of a couple of academic scholarships, he enrolled at USC, where he majored in business while trying out for the men’s golf team. At the time, USC’s men’s golf team was a strong program, ranked in the top 15 nationally. He made the team, but over two years, he rarely played. As a freshman, he understood that the juniors and seniors would have priority. But as a sophomore, he felt he was better than some of his teammates who got to play. So he quit. In retrospect, James can now see that he was too worried about what others thought about him and, while he had the talent to compete collegiately, he needed to be more mentally focused on the task at hand. Instead, he earned his degree and went into accounting, working for Ernst & Young for four years. Meanwhile, Laura, seeking an area to channel her energy, wound up running a Teuscher of Switzerland Chocolate boutique in Palo Alto. Here, James’ golf training, where he discovered the ability to work continuous long hours, came into play. He realized his mother needed help to run her business, so he would work his regular weekday hours and then fly up to Palo Alto for the weekend. He wanted to help his mother with a variety of tasks, including dealing with the employees. This routine continued until Laura sold her business and returned to Los Angeles. James wanted his mother to settle down, but she was diagnosed with cancer and needed to undergo chemo. After her first round of chemo was completed, Laura surprised her son by announcing that she wanted to open a bakery in Little Tokyo. James was skeptical, especially since she had difficulties running the Teuscher franchise. But Laura reassured her son that she had already engaged a partner who was a baker, so James agreed. Once again, his life changed when three weeks before the bakery was to open, his mother had a fight with the baker and he quit. Knowing his mother had invested everything into the project, James gave notice to Ernst & Young and went about figuring out how to run this new business called Café Dulce. They were able to hire a baker from Korea, but James knew he would need to take a crash course in making pastries and brewing coffee. Once again, his golf training kicked in and he was able to grind out the first two years, working from 7 in the morning until 11 at night each day for two years. As with golf, James just “kept my head down” and had a singular focus. Interestingly, James had not been much of coffee drinker in college, but he had come across premium specialty drinks while in the Bay Area. He knew if the business was to succeed, he needed to be able to serve coffees and teas of that quality. Having networked as a part of the junior golf world, James set about getting to know the local barista community, who generously shared their knowledge and ideas. The donuts and pastries became an open collaboration with staff, friends and customers. And, of course, James was not averse to absorbing what other places were creating. Meanwhile, he also learned to juggle bills with an eye on which creditor had to be paid and which creditor could be paid later or even last. 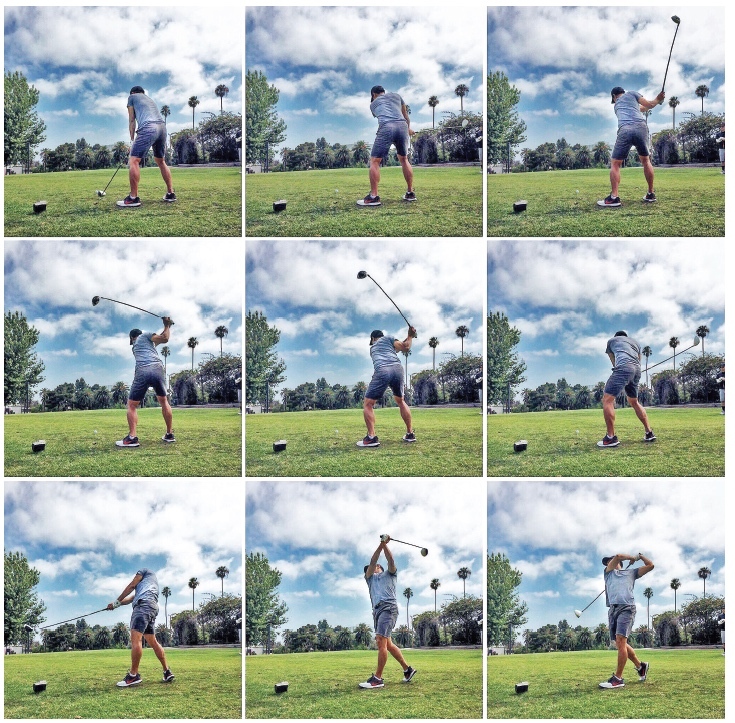 Like pounding golf balls under the watchful eye of an instructor until you discover how to cut or hook the ball on demand, James and his crew slowly uncovered what worked and what didn’t. They used pop-ups to increase their local profile. Over time, Café Dulce added cakes to the menu and started selling sandwiches and salads. James connected his business to art and design, introducing coffee sleeves and take-out boxes filled with illustrations by Anne Seo. Sadly, Laura’s cancer could not be contained and she passed in 2013. The business has attracted a loyal following, but James’s mother is not here to share in its current success. He clearly credits her with giving him the tools to succeed in life, even if their mother-son dynamic was built on tough love. Now married with a daughter, James has become part of the Little Tokyo community. He sits on the Board of Directors for the Little Tokyo Community Council (LTCC) and the Little Tokyo Business Association. He was the prime mover behind the new Haunted Little Tokyo event with LTCC and the business owners of Wolf & Crane and Baldoria. His next idea is for the community put up holiday lights for Christmas. Because of these activities, he rarely has time to play golf. But he did tee it up with his pastor recently and realized he could still bomb his drives. He also noticed he had lost his “feel” for the short irons and wedges, which require constant practice. Clearly, his time is now being spent serving the needs of his family, business and community. This is perhaps what Laura wanted for her son all along: something he could throw himself into and excel. And he has.